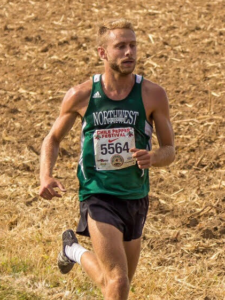 I ran 3 years of XC in high school and 2 years of track and after success in high school, I continued my running career at Northwest Missouri State. After struggling with injuries/college training my first couple years in college, I finally stayed healthy my last two years and was apart of the school’s first trip to XC nationals in 2016. My post collegiate goals are to lower my 5k time, be a scorer at club xc nationals, and transition into more of a half-marathon/marathon runner and of course continue to stay healthy. I believe that I have a lot more that I can give to this sport and am looking forward to meeting some new runners in the area!